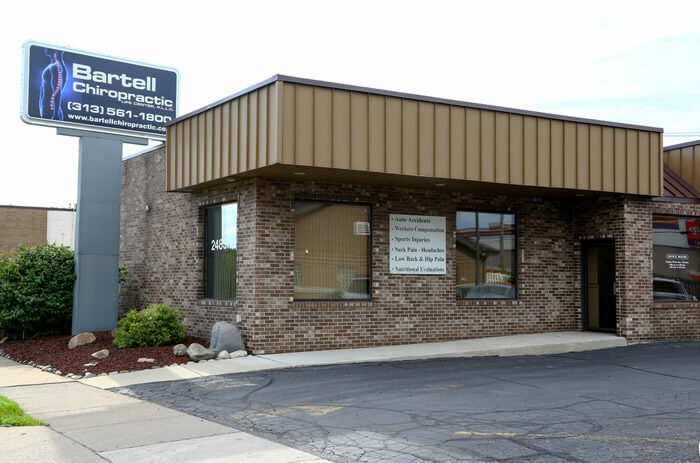 Bartell Chiropractic Life Center makes every effort to provide a comfortable experience for our new patients. We have prepared this resource page so that new patients can gain a better understanding on how our office procedures and sessions work. Whether you've been a patient of Chiropractic care in the past, or are new to the whole experience, we will do our best to make your first visit at our office convenient and beneficial as possible. Browse the tabs below for more information on our office procedures, fees, and other helpful information. New Patient Consultation: What To Expect? We offer free consultations for first-time patients. This allows us to gain a better understanding of your health goals so we can build a suitable treatment plan. When you first arrive at our office, you will be greeted by our receptionist, Deborah, and she will walk you through filling out all the paperwork, and answer any questions you may have. The paperwork will ask for contact information, medical history, insurance/payment options, plus other general information that will help us gain a better knowledge of you, and your needs. Your first face-to-face meeting with Dr. Bartell will give you the chance to share any health-related concerns and have any questions answered. Dr. Bartell will conduct a complete Chiropractic examination. He will test your spinal function and other procedures to help him gain a better understanding of your overall condition. Please note that these procedures are gentle and we will only conduct tests that you are comfortable with. Depending on your individual condition, Dr. Bartell may recommend an X-ray in order to gain a complete and clear diagnosis of your overall spinal alignment. X-rays also help us red flag any serious ailments, so Dr. Bartell can prioritize your treatment. And just like any other evaluation phase, X-rays will only be conducted under yours, or your physician's consent. Once all Chiropractic examinations are complete, Dr. Bartell will review all evaluation phases with you. He will recommend treatment options personalized to your needs, which will be continued on your next visit at our office. Now that your condition and treatment options are identified, Dr. Bartell will begin a chiropractic treatment plan that fits your lifestyle, overall health goals, and budget. Dr. Bartell also provides educational materials for you review at your convenience that touches on current events in Chiropractic care, and other general health topics. To supplement your Chiropractic treatments at our office, Dr. Bartell may recommend additional wellness tips outside of our office, including corrective exercises, nutritional plans, and other healthy habits to help you achieve your personal wellness goals. Typically, Chiropractic care is covered under most health insurance policies. In order to verify if our Chiropractic treatment is covered under your insurance, please consult with your insurance carrier. Chiropractic care for worker's compensation and auto injuries cases are covered 100% at our office, which we can verify with your insurance provider. Currently, we do not charge for processing claims. Patients are responsible for any insurance deductibles and any other fees not covered by your insurance plan. We please ask that all balances are settled at the end of each visit. For your convenience, we accept cash, Visa, and Master Card. For a full disclosure of our fees and payment options, please contact our office at (313) 561-1800. Chiropractic is a natural healing art that corrects spinal misalignments that cause pressure on the nerves interrupting the messages from the brain to every part of your entire body. Absolutely! Thousands of studies have been conducted around the world and science has proven the fact that the brain, spinal cord and nerves control the function of all creatures. Is There Twisting Or Cracking Involved? No there is no twisting in the treatment process in our office! Due to the use of Chiropractic adjusting instruments it isn't necessary to "crack" anything. Sometimes during treatments you may hear a "crack" but this is totally normal and occurs when any joint moves. There is nothing that your body can not cure if it is working properly. My job as a chiropractor is to locate where the spinal bones are interfering with messages from the brain to the body causing dysfunction and disease. If detected soon enough the bodies healing systems will begin to heal and return the body to a state of balance and health. What Causes Pinched Nerves & Other Spinal Problems? The cause of the spine to block the normal expression of life, leading to disease, is STRESS. The scientific condition defining the interference within your spine is called Subluxation. There are several types of stress that contribute to spinal ailments, including physical trauma, environmental, toxic, and emotional stress. The risk of injury is minimal and chiropractic care is one of the safest healing arts there is. This is proven by the extremely low malpractice rates that the profession has. Automobile insurance is higher than the rates for Chiropractic. That is a loaded question because some patients wait until they are in so much pain that any movement like going from a sitting to a standing position sends them through the roof with pain. In these cases just using light pressure is painful. Sometimes there is tenderness where the spine is not moving and correction needs to be made, but in most cases our care is very gentle and not painful. In our office we use several state-of-the-art tools or adjusting devices. The reason we use these instruments is because of the extremely accurate application of these devices and the ability to use less force and to apply the exact amount of force needed in the exact place 100% of the time. The names of some of these devices are the Activator Instrument, Neuromechanical Instrument, Pettibon Instrument, Air Activator, Atlas Orthoganal Instrument and several others. How Often Should I Visit A Chiropractor? That depends on the individual and their lifestyle. Initially patients get adjusted several times per week until they are in the relief phase of care. Less frequently when the spinal correction has been made and are stable. There are people who never exercise or stretch, some do Yoga 5-7 days a week. Frequency varies after correction to weekly to monthly and everything in between, whatever is needed to keep you healthy. Do You Ever Prescribe Drugs? No we can not prescribe dugs and honestly we don't want to. All drugs force the body to make physiological changes that may be contrary to healing. We may recommend various vitamins, herbs or other natural products to help with the healing process but these have zero side effects on the body and we all know how dangerous some of the side effects of medication are. Do You Ever Recommend Surgery? Sadly yes, it is not what chiropractic is all about but sometimes there is no choice and is necessary. Chiropractic is a natural healing art which allows for natural healing from inside out, and many times after all else has failed chiropractic has miraculous results. But in some cases something is torn or damaged in way that the body needs to be surgically repaired and THEN chiropractic care can be utilized as effective therapy to bring your body back to normal function. Do You Provide Emergency Appointments? In true emergency cases you should call 911 or proceed to an emergency room. We do not provide this type of care. Is There An Age Limit For Chiropractic Care? No there is no age limit! Personally I delivered my children at home and checked their spines within hours after they were born and have kept them in adjustment all their lives. We've also adjusted patients who were over 100 years in age! The oldest was a fine gentleman who was 102 years old and lived a functional and full life up until a few days before he passed. Dr. Larry Bartell and our friendly office staff are waiting to take your call and schedule an appointment at your convenience. We look forward to being you and your family's natural health resource for life! ..and improving my overall health. It's amazing how much knowledge he has in chiropractic and just health in general. ..I was referred to Dr. Bartell, he has managed to elevate my health, strength and flexibility back to nearly the level I was at in my 20's. He very professional, compassionate and effective. ..Dr Bartell is very knowledgable and explains everything very clear. I recommend stop taking pain medication and take care of the problem.